Heideman Nudelman & Kalik, P.C. is proud to have served as counsel to the Estate of Liviu Librescu and his family in seeking justice arising from the tragic murder of Professor Librescu in the Virginia Tech massacre. On the morning of April 16, 2007, Puri was the head of the engineering science and mechanics department at Virginia Tech University, and Librescu, who had taught in Blacksburg since 1985, was one of his professors. Librescu was teaching a solid mechanics class in room 204 of the university’s Norris Hall when Sueng-Hui Cho, a 23-year-old Virginia Tech senior, began a rampage that claimed the lives of 32 people. The professor’s actions are familiar by now, but no easier to comprehend even a full decade later. According to eyewitnesses, at the sound of gunshots Librescu blocked the door of his classroom, which could not be locked from the inside. Cho eventually forced his way in and shot Librescu with a semi-automatic pistol—but by that point, 22 of his students had already climbed out a window and jumped to safety. In a public Facebook post written last week, one of Librescu’s students recalls looking down from a second-story window ledge, and then stealing a final glimpse of Librescu standing alone, trying to secure the lecture hall door. As the post explains, that student’s future would include a master’s degree, a risky but inevitably satisfying career change, and a family of her own. At the time the post’s author last saw him, Librescu would have only a few moments to live. Liviu Librescu was born in Ploisti, an industrial city in eastern Romania, in 1930. Like millions of other Jews across Europe, fascism and communism would shape the course of Librescu’s life, as it would for millions of other Jews across Europe. Romania’s newly formed right-wing government officially allied with the Nazis in 1940, and ordered the deportation of much the country’s Jewish population to the country’s eastern fringes the following year. The Nazis and their Romanian allies murdered an estimated 270,000 Romanian Jews during the Holocaust, out of a pre-war population of 728,000. Librescu earned an engineering Ph.D. in Romania after the war. As Puri explains, his research work delved into how the material composition of an aircraft affects its operational limits. Librescu studied how materials performed under flight stresses like heat and air friction, and his work was aimed at “making sure [those materials] don’t fail under very critical operating conditions,” Puri explained. Since Librescu was one of his country’s leading aerospace engineers, Romania’s communist regime conscripted him into several high-end military projects, including an effort to produce an indigenous fighter aircraft. Librescu warned that the plane was unflyable as designed, a fact proven during an early flight test. The program was scrapped soon after that. Simply existing as a Jew in 20th-century Eastern Europe had denied Librescu the freedom he’d sought for nearly his entire life. 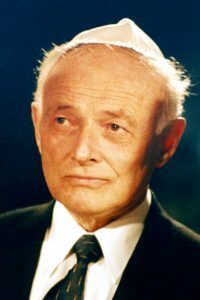 Of all places, he found what he was looking for in Blacksburg, a somewhat isolated university town four hours southwest of Washington, D.C. As Puri describes him, Librescu was a committed Jew, and also something of a luddite. His wife, Marlena, who died four years ago, handled nearly everything email or computer-related, and gradually became a working partner, an academic collaborator of sorts. “When you talked to them you lost sense of where one identity ended and one began,” Puri recalled. Librescu developed a reputation as an almost obsessively prolific participant in academic conferences, perhaps a result of being cut off from the scientific community for so much of his career (at the time of his death, Librescu was preparing papers for three conferences he planned on attending over the summer of 2007). He had close friendships in Blacksburg. 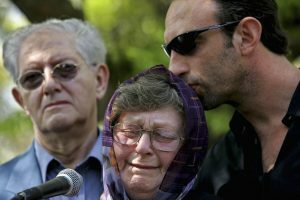 Pier Marzocca, a former Virginia Tech professor who is now associate dean of the school of engineering at RMIT University in Melbourne, Australia, described Librescu as “a father figure” in an email. Marzocca wrote that he ate with Librescu nearly every Sunday night for four years. Librescu frequently shared anecdotes of his time back in Europe, something his colleagues seemed to welcome: After all, the Romanian had seen more of the world and its possibilities than any of them had seen, or probably wanted to. “Although now 10 years later those memories are somewhat blending in, some of these conversations are very vivid and his way of living is very much inspirational to me,” Marzocca said. Part of Zwiebel’s responsibilities include helping to commemorate the massacre and Librescu’s heroism. On April 24, the 28th of Nisan on the Hebrew calendar—which is both Yom HaShoah and the 10th Hebrew anniversary of Librescu’s death—the Virginia Tech Chabad house is organizing a memorial event in which a Holocaust survivor and one of Librescu’s two sons will speak. “You try to take a Jewish perspective of what we can learn out of it, and how we can grow out of it,” Zwiebel said of the 2007 shooting. Posted in Uncategorized on April 14, 2017 by hnklaw.